The Glenn Gould School and The Royal Conservatory Orchestra present The Magic Flute, conducted by Nathan Brock and directed by Joel Ivany. 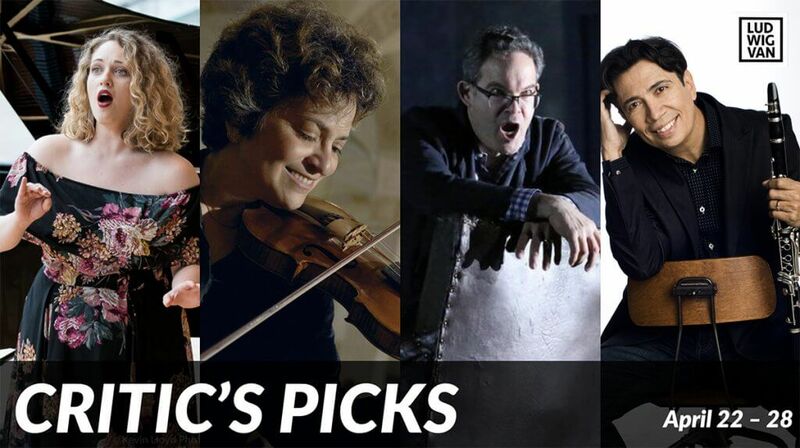 Wednesday, March 21 at Koerner Hall. 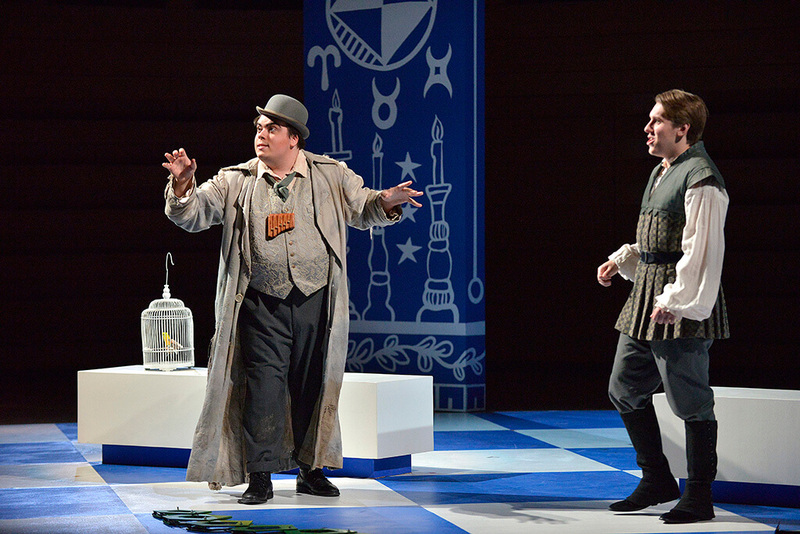 A staple of the international repertory, The Magic Flute is a tall order for collegiate companies given its unusual solo demands and a general expectation that visuals will be lavish. 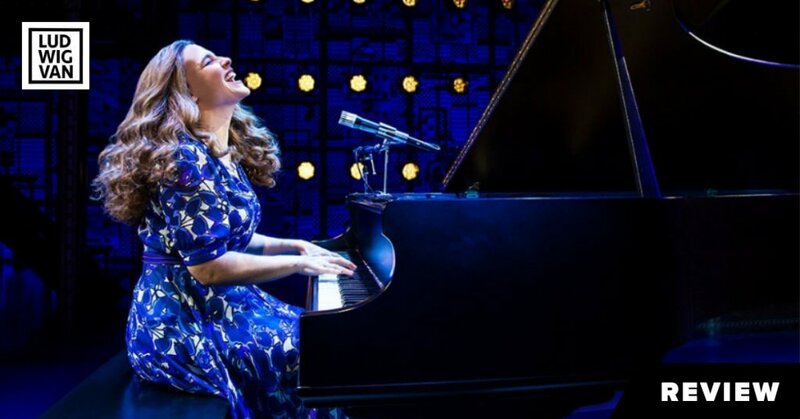 The Glenn Gould School and Royal Conservatory Orchestra forged ahead on Wednesday, with results of intermittent charm and uneven vocal quality. The venue was Koerner Hall, which has a pit but no proscenium arch and no theatrical apparatus beyond a lighting array. The set by Anna Treusch was simple. Four or five rectangular slabs festooned with Masonic images (or reasonable facsimiles) gave the characters something to act in front of and occasionally hide behind. A blue-and-white checkerboard floor added crispness to the image but no variety to the palette. Many effects had to be mentally edited in. 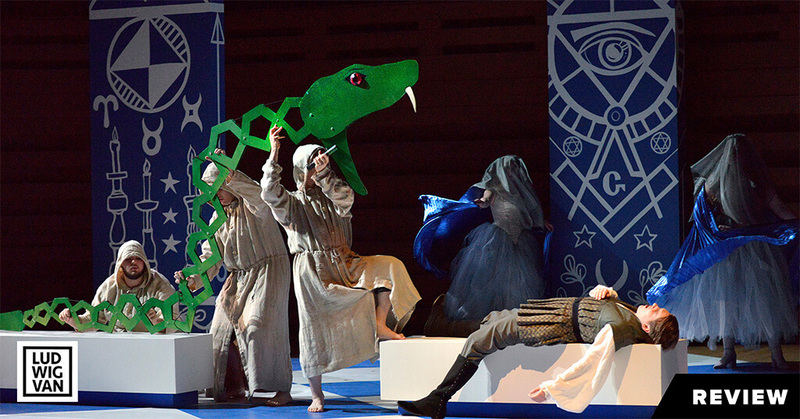 The serpent of the opening scene was flimsy, and the animals mesmerized later in Act 1 were curiously nonexistent. Ditto for much of the ritual. Nor was there a gathering of priests at the opening of Act 2. Sarastro apparently wished to intone his prayer to Isis and Osiris in private. The chorus, prerecorded, sounded supernatural. Joel Ivany clearly had to work within certain limits. The acclaimed director nevertheless had his inspirations, including the use of a music box for Papageno’s bells and, near the end, a delightful procession of eggs to emphasize the potential fertility of the bird catcher after he is united with Papagena. Lighting (for which Ivany was also responsible) was used to good dramatic purpose. Still, it seemed a shame to give the Queen of the Night two routine walk-ons when the choir loft presented the option of a much more arresting entry. Singing was satisfactory rather than stellar. The edgy soprano of Nofar Yacobi was better suited to the famous Act 2 aria of the Queen of the Night than its mellower counterpart in Act 1. 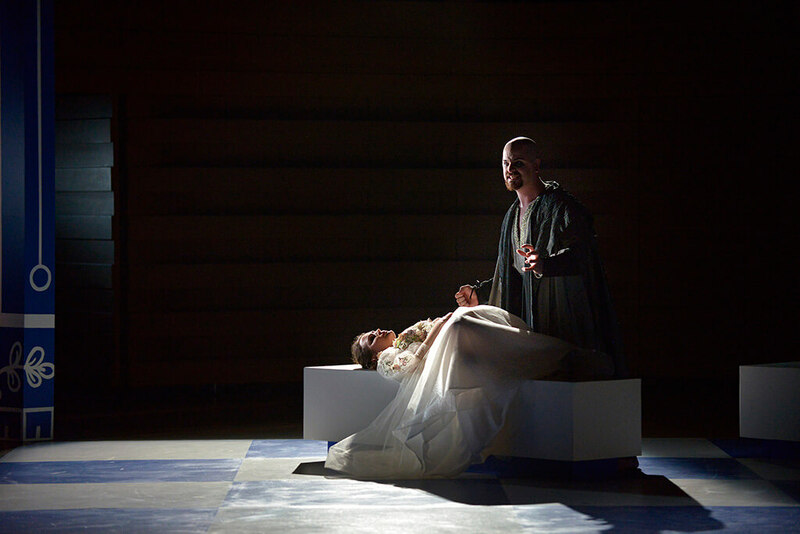 Kateryna Khartova also had her strident moments as Pamina, although these did not get in the way of pathos in “Ach, ich fühl’s.” Tenor Zachary Rioux sang clearly as Tamino. My preference is for more honeyed phrasing. Christopher Miller was a lively Monostatos. His rapid-fire Act 2 number was cleansed of racial content, at least in the surtitles. Noah Grove as Papageno was the most polished of the principals. His baritone, if not plummy, was firm, and he projected his spoken dialogue clearly. Looking a little like Oliver Hardy in his bowler hat, he was a confident comedian. Odd that he wore no feathers. (Ming Wong’s costumes were otherwise pleasing). Filling the subterranean role of Sarastro is probably the biggest impediment to a student staging of this opera. Happily, the Conservatory could call on an alumnus, Gabriel Sanchez Ortega, who had the low notes and the chocolatey tonal essentials. He has room to grow artistically, and I suspect he will. I have yet to mention Mozart, whom Nathan Brock seems to understand. This Canadian conductor, who has a steady job in Hamburg, maintained a vibrant beat while respecting the alternating dignity and humour of the music. Balances were excellent, and the woodwind playing (notably by the principal flute) was fine. Crisp timpani as well. Strings were on their toes but I must report some thinness in the overture. Singing was in German, dialogue in English, a time-honoured practice that makes me uncomfortable. The impression inevitably is of two competing dramas. Nor was diction in the dialogue optimally clear. Whether the concert-hall acoustics play a role in this is hard to say. Altogether, a middling Magic Flute. There is a repeat on Friday. Arthur Kaptainis has been the classical music critic of the Montreal Gazette since 1986 and wrote for the National Post 2010-2016. 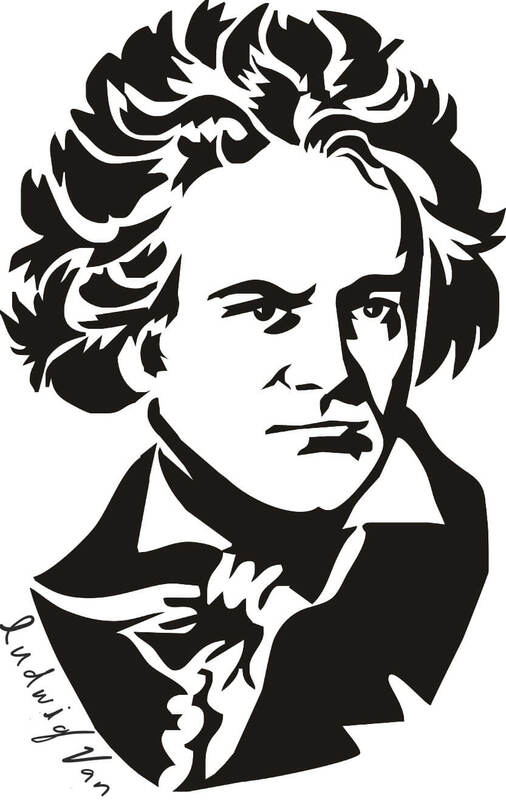 His articles have appeared in Classical Voice North America and La Scena Musicale as well as Ludwig Van. Arthur holds an MA in musicology from the University of Toronto. 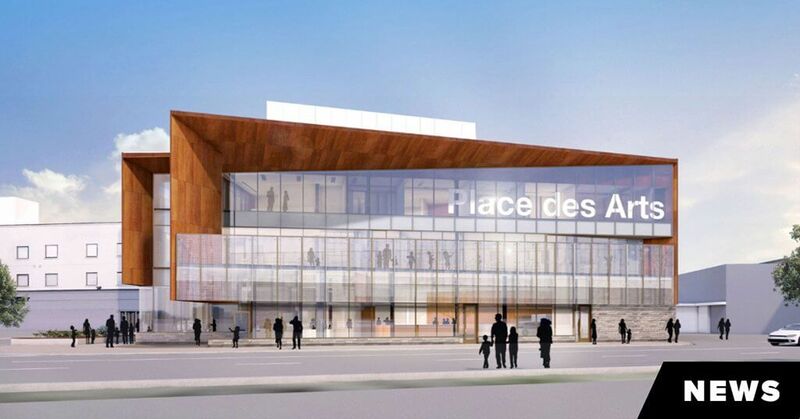 Place des Arts will be the first multi-disciplinary arts centre in Northeastern Ontario, and a creative hub for Sudbury.